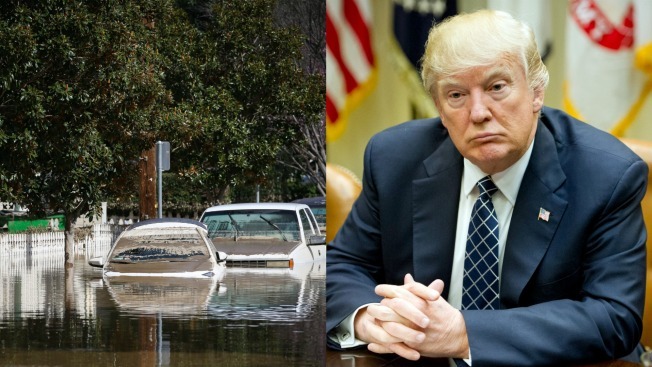 President Donald Trump on Sunday approved a disaster declaration for several California counties ransacked by powerful winter storms. A total of eight of the Bay Area's nine counties overwhelmed by flooding and mudslides between Feb. 1 and Feb. 23 are eligible for federal funding, according to the White House. The counties listed include Alameda, Contra Costa, Marin, Napa, San Mateo, Santa Clara, Solano and Sonoma counties. Jurisdictions may also request money for hazard mitigation measures, according to the White House. A drought-stricken Bay Area benefited from the record amounts of winter rainfall, but the much-needed water also triggered hillsides to crash into homes, roads to crumble and water to overwhelm neighborhoods. One of the hardest hit locations was neighborhoods along Coyote Creek in San Jose. Thousands of homes and cars were filled with flood waters when the swollen Coyote Creek breached its banks.